Our Annual A. 1. Outreach Conference will be held on Sunday, April 28. Our missionary speaker for the 10:15 service will be Rod Zottarelli, who is a coach for Global Partners Missionaries along with his wife Nancy. Several local ministries will be presented during the Connection Hour at 9:15. A variety of outreach ministries will be available at displays in the Connection Center. During these 50 days from Easter through Pentecost, we are going to focus together our prayers on the themes that come from The Lord’s Prayer. Spend a few moments today to focus on these words. The Lord’s Prayer is familiar to most of us, and therefore, we can hurriedly speak or read the words without thinking about them. Take just a few minutes each day to reflect on the theme and the passage provided. There is a brief thought with each verse to help you focus with your church family in your time of prayer. This first week of our 50 Days of Prayer, we are focusing on the words, “Our Father,” from the Lord’s Prayer. Some have had earthly fathers with many characteristics other than compassion and comfort. No matter what our earthly fathers were (are) like, Paul tells us that the God and Father of our Lord Jesus Christ is the Father of compassion and the God of all comfort. As you pray, get an image of a small child who is in the embrace of their loving Father. Our Father from the Lord’s Prayer loves you more than the best human daddy loves his children. Pause in Our Father’s embrace as you go to Him in prayer today. Ephesians 4:6 one God and Father of all, who is over all and through all and in all. This first week of our 50 Days of Prayer, we are focusing on the words, “Our Father,” from the Lord’s Prayer. Sometimes children will argue about who has the best Daddy. My Daddy is better than your Daddy. My Daddy is bigger than your Daddy. My Daddy is stronger than your Daddy. On and on they can go declaring and defending the greatness of their daddy. Paul seems to be convincing the people of Ephesus regarding Our Father, God. He is one God and Father of all. He is over all, through all and in all. Each of us is in His hand. Whatever you may be facing today, you are not facing it alone. You don’t have to solve it yourself. You don’t have to carry your burdens alone. Our Father is over all and is working through you and in you today. Philippians 2:10-11 that at the name of Jesus every knee should bow, in heaven and on earth and under the earth, and every tongue confess that Jesus Christ is Lord, to the glory of God the Father. This first week of our 50 Days of Prayer, we are focusing on the words, “Our Father,” from the Lord’s Prayer. There are many today who do not acknowledge the glory of God nor confess the Lordship of Jesus Christ. However, Paul tells us about a day when every knee shall bow and every tongue confess that Jesus Christ is Lord, to the glory of Our Father. In your prayer time today, confess that Jesus Christ is your Lord, and bring glory to Our Father. Pray also for someone you love who has not yet confessed that Jesus Christ is Lord. Romans 8:16-17 The Spirit himself testifies with our spirit that we are God’s children. Now if we are children, then we are heirs—heirs of God and co-heirs with Christ, if indeed we share in his sufferings in order that we may also share in his glory. This first week of our 50 Days of Prayer, we are focusing on the words, “Our Father,” from the Lord’s Prayer. Here Paul makes this thought of God as Our Father very personal. God’s Spirit testifies to our spirit that we are God’s children. Not only do we enjoy the relationship with Our Father, but we are heirs of God and co-heirs with Jesus. All that God has reserved for Jesus to enjoy as His obedient Son, we will share with Him. We will be thinking about heaven later in these 50 Days of Prayer, but today just think of the great reward that the Creator of all things, the God of heaven and earth must have prepared for Jesus. Now think about what it may mean to share that with Him. There is no need to be discouraged because of your circumstances today IF YOU ARE A CHILD OF GOD! This first week of our 50 Days of Prayer, we are focusing on the words, “Our Father,” from the Lord’s Prayer. The 40 days between Easter and Ascension Day were just a temporary period until Jesus returned to the Father. Despite the failures and short-comings of the disciples, Jesus used this period of time to reassure them about their relationship with Our Father. He instructed the women who came to the tomb that resurrection morning to tell His brothers that He was returning, not only to His Father, but to their Father; not only to His God, but their God. Sometimes we may become discouraged and doubt our relationship with Our Father. Be encouraged today in your time of prayer. You are praying to your Father and your God. John 17:4-5 I have brought you glory on earth by completing the work you gave me to do. And now, Father, glorify me in your presence with the glory I had with you before the world began. This first week of our 50 Days of Prayer, we are focusing on the words, “Our Father,” from the Lord’s Prayer. Jesus brought glory to Our Father by completing the work God gave Him to do. Paul tells us in Ephesians 2:10 that we were created to do good works that God prepared for us to do. What has Our Father created you to do? Ask Him to help you use your gifts, talents, abilities and resources to fulfill His purposes for your life. We can become disappointed when we focus on what we may not have. An antidote for disappointment is to focus on doing the good works God prepared for you to do. Matthew 7:9-11 “Which of you, if his son asks for bread, will give him a stone? Or if he asks for a fish, will give him a snake? If you, then, though you are evil, know how to give good gifts to your children, how much more will your Father in heaven give good gifts to those who ask him! This first week of our 50 Days of Prayer, we are focusing on the words, “Our Father,” from the Lord’s Prayer. Only the worst of fathers would give their son a stone if he asks for bread or a snake if he asks for a fish. The heart of a true father desires to give good gifts to their children. We want to provide a nice home, a good education, healthy food, and many extras. Jesus says if as human fathers this is our desire, how much more does Our Father want to give us good gifts. Instead of asking God to provide what you would like, spend time in prayer today thanking Him for the good gifts He provides for you. 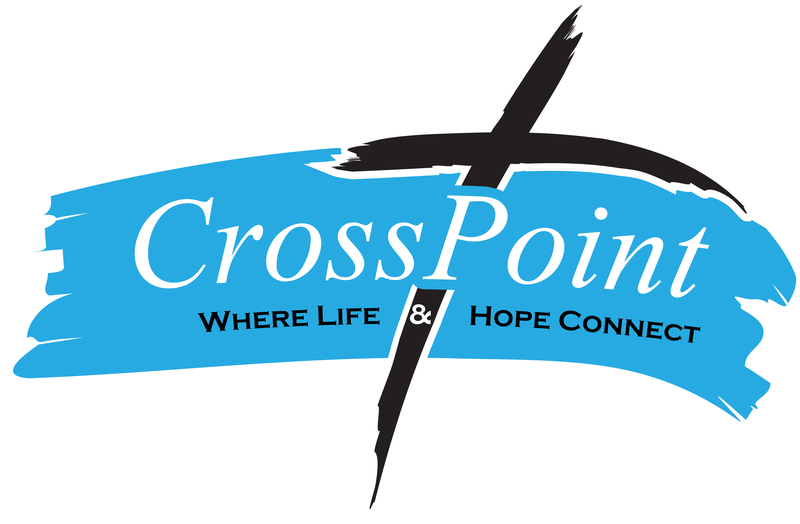 CrossPoint aims to be a place where Life and Hope Connect. We want to Connect People to Jesus because he is the only Hope for the world.